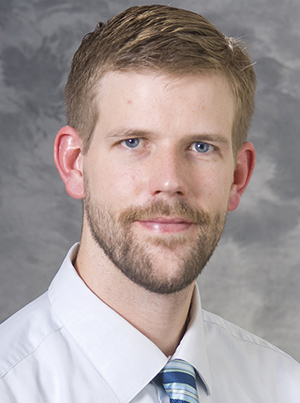 Andrew Slattengren, DO, joined University of Minnesota North Memorial Family Medicine Residency faculty in July 2011. Prior to that time, he served as faculty at the University of Wisconsin-Madison. He is a founding board member and remains active with Family Medicine Midwest. Dr. Slattengren also serves on the board of the Minnesota Academy of Family Physicians. Berge, J. M., Draxten, M., Trofholz, A., Hanson-Bradley, C., Justesen, K., Slattengren, A. Similarities and differences between families who have frequent and infrequent family meals: A qualitative investigation of low-income and minority households. Eating Behaviors. 2018; 29:99-106. Paulson W and Slattengren A. Does physical activity in children with attention deficit hyperactivity disorder (ADHD) improve symptoms or decrease medication use? Evidence-Based Practice. 2018;21(2):11. Paulson W and Slattengren AH. Effectiveness of ACL Injury Prevention Programs Am Fam Physician. 2018 Feb 1;97(3):online. Slattengren AH, Nissly T, Blustin J, Bader A, Westfall, E. Best uses of osteopathic manipulation. J Fam Pract. 2017 December;66(12):743-747. Berge JM, Trump L, Trudeau S, Utržan DS, Mandrich M, Slattengren A, Nissly T, Miller L, Baird M, Coleman E, Wootten M. Integrated care clinic: Creating enhanced clinical pathways for integrated behavioral health care in a family medicine residency clinic serving a low-income, minority population. Fam Syst Health. 2017 Sep;35(3):283-294. doi: 10.1037/fsh0000285. Epub 2017 Jul 24. Rabago D, van Leuven L, Benes L, Fortney L, Slattengren A, Grettie J, Mundt M. Qualitative assessment of patients receiving prolotherapy for knee osteoarthritis in a multimethod study. J Altern Complement Med. 2016 Dec;22(12):983-989. Epub 2016 Sep 7. Widstrom L, Slattengren AH. Do autologous blood and PRP injections effectively treat tennis elbow? J Fam Pract. 2016;65(9):635. Slattengren AH, Prasad S, Jarrett J. PURLs: Kidney stones? It’s time to rethink those meds. J Fam Pract. 2016;65(2):118-20. Lownik E, Slattengren A. How accurate is the Pediatric Appendicitis Score in the diagnosis of acute appendicitis in children? Evidence-Based Practice. 2016;19(2):7.